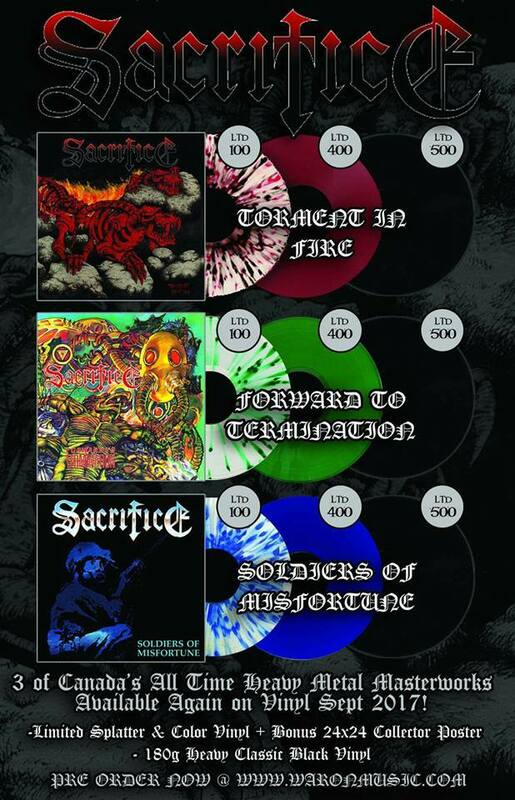 CULT TO OUR DARKEST PAST: WORSHIP VINYL: SACRIFICE First Three Albums Reissue! WORSHIP VINYL: SACRIFICE First Three Albums Reissue! Canadian Metal! Yezzzz! 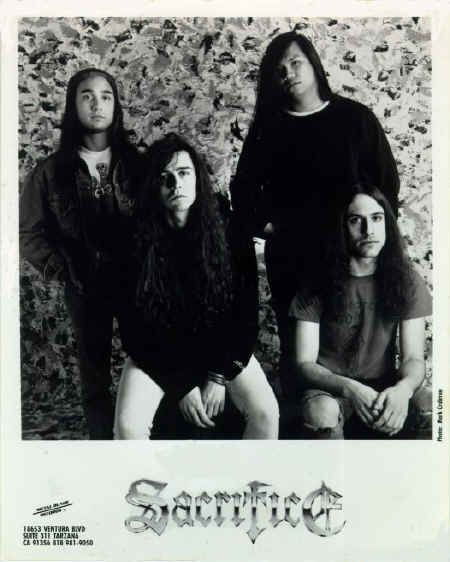 Thanks to War On Music Records the first three albums of Canadian SACRIFICE will be reissued next September. “Torment In Fire” (1985) “Forward To Termination” (1987) and “Soldiers Of Misfortune" (!990) are great quality, old school, furious thrash metal albums. They will be available on 180g heavy classic black vinyl, limited “nice” splatter vinyl and color vinyl (see flyer), including 24x24 collector poster. For more info and pre-order click here. Fire!, Termination!, Misfortune!...Don´t miss out!! !